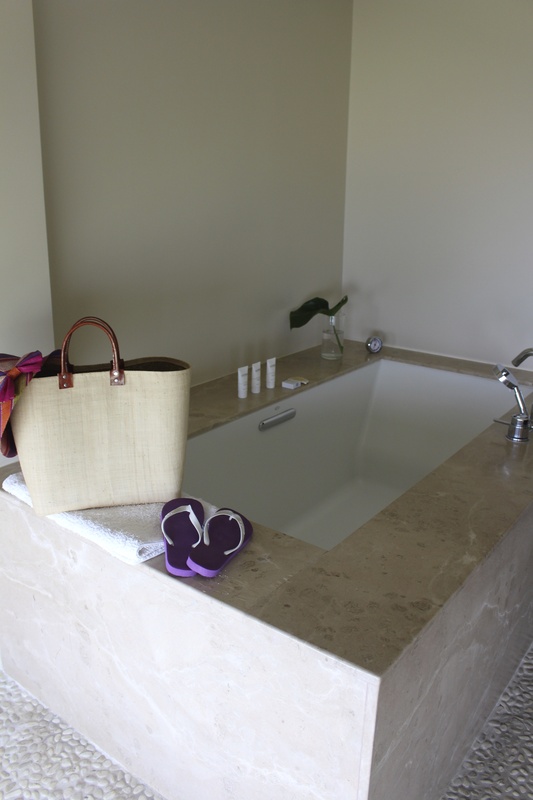 Always on a mission to find outstanding, luxurious accommodations within a spectacular landscape, we discovered it once again in the vibrant country of Costa Rica. We planned this exciting Costa Rican adventure many months ago and both Craig and I were happily anticipating the very best luxury travel in Costa Rica. We wanted to combine the relaxation and amenities of a lush resort, while still visiting the outlying areas that offered amazing flora and fauna, quaint surf towns and friendly people. 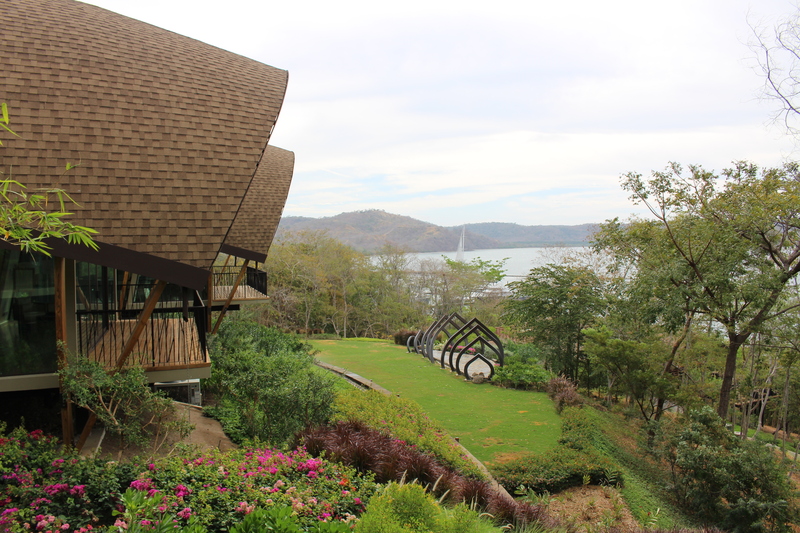 We found it at the spectacular Andaz Peninsula Papagayo Resort! Costa Rica is the happiest country on earth! I have never been to a country where the people are as happy as Costa Ricans. They live by and embrace a “Pura Vida” philosophy about life. Pure Vida means: pure life, love and enjoy life, be happy, greet each day with a smile. 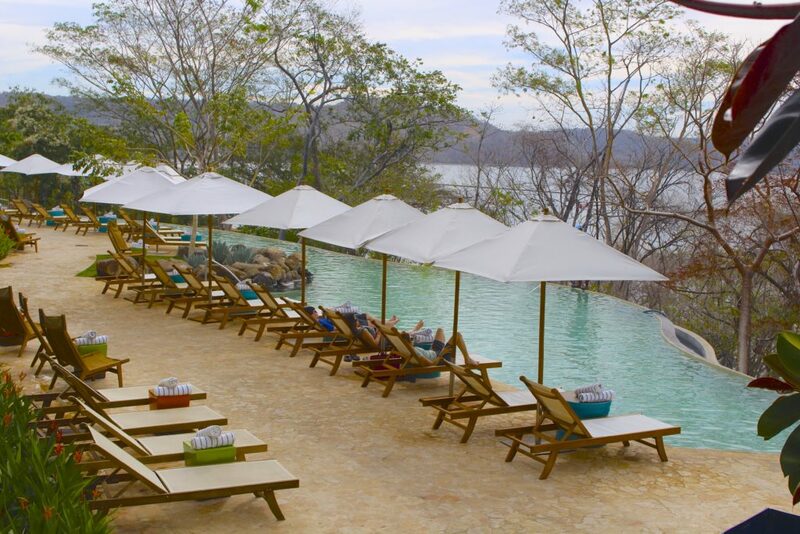 After doing our research, we chose to stay at the stunning Andaz Peninsula Papagayo Resort, part of the Hyatt Hotels & Resorts. This new hotel is like a gem that can be admired and appreciated for it’s many sparkling facets. 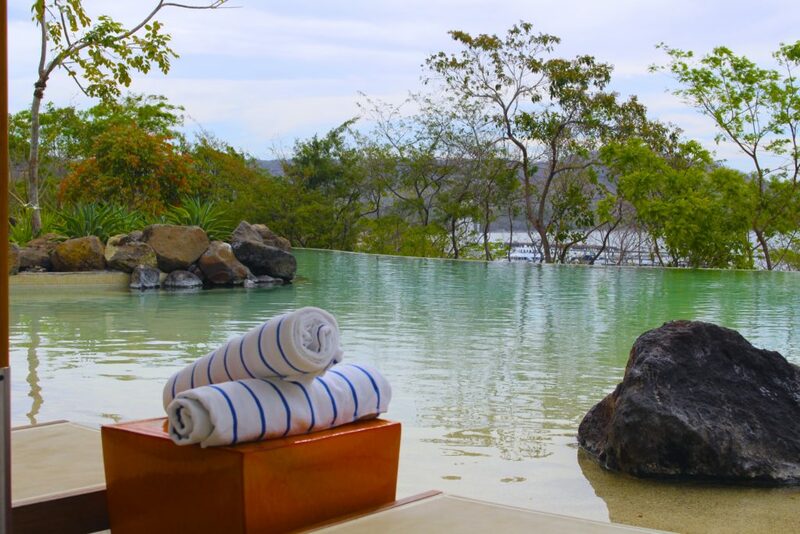 Located in the vast Guanacaste Province on the Papagayo Peninsula (on the Pacific Ocean) the Andaz Papagayo is the perfect resort to relax and recharge and enjoy the upscale accommodations and exemplary service. 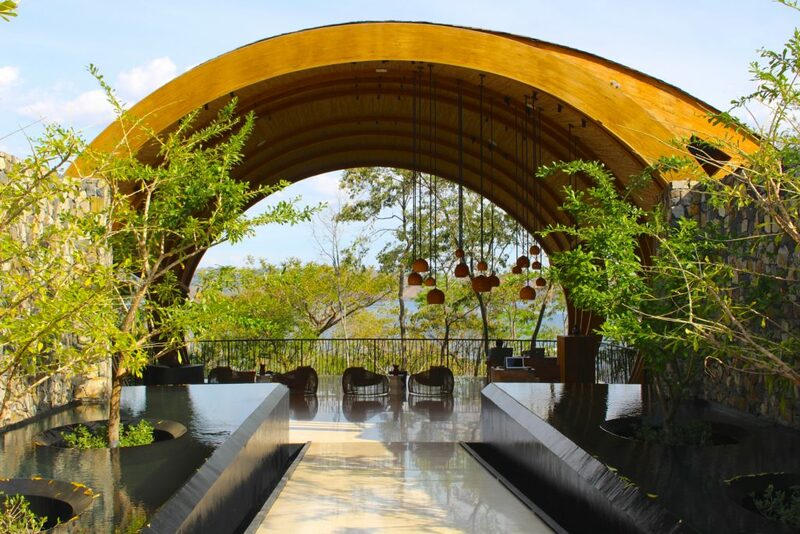 The resort’s unique, engaging architecture is a feast for the eyes! 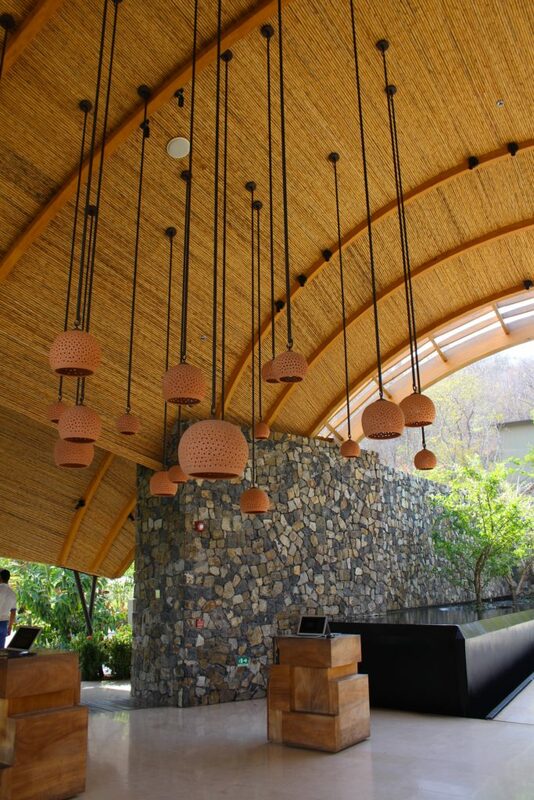 Native Costa Rican architect Ronald Zurcher, used the shapes of cocoons and shells for the resort’s facilities to create an intriguing design that is meant to stimulate the senses of the guests and to seamlessly integrate the environment with the local heritage of the Papagayo Peninsula. The spectacular entrance of the resort. One of the many architectural details! A view of the “Studios” or meeting rooms from the lobby. With breathtaking views, the resort is nestled right into the hills and becomes part of the landscape. I was so impressed by the artistry of the curves and textures of the distinctive design and as the sun rose in the morning and set in the evening, the beauty of the environment changed with it. The resort is nestled into the side of the mountain. The climate of the Guanacaste Province is tropical with an average temperature of 83ºF year round. However, we experienced a very unusually hot, dry, 90 degree week. The Gold Season is from December to April and provides constant sun. From May to October the Green Season brings afternoon showers and converts the area to lush vibrant greenery. We were so happy to find several refreshing swimming pools ready for us this week! The pools were so gorgeous and the perfect temperature. 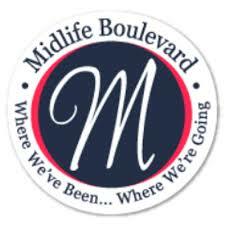 When the time came to enjoy delicious, innovative cuisine, it was only a short walk or fun golfcart ride away! 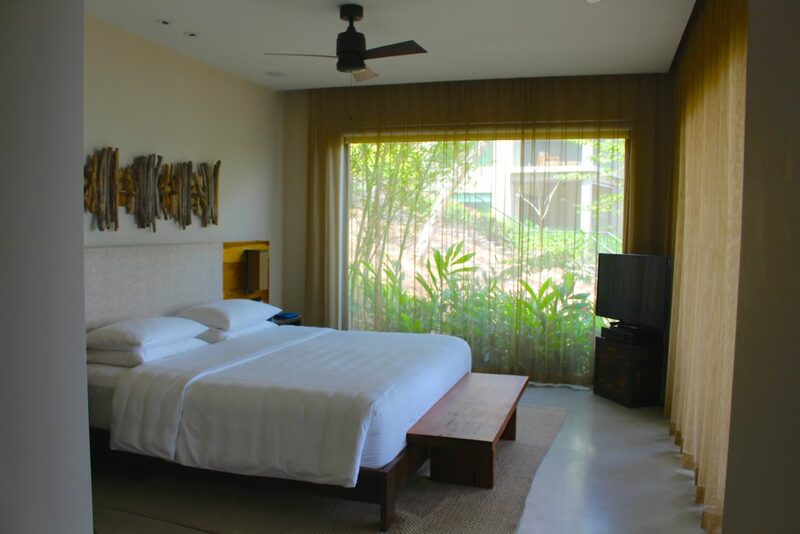 The property is built on a hill and there are a plethora of helpful Andaz staff members ready to give you a quick ride to your next resort destination. It is their absolute pleasure to take you to the pool, the beach, or down to one of the three spectacular and unique restaurants. 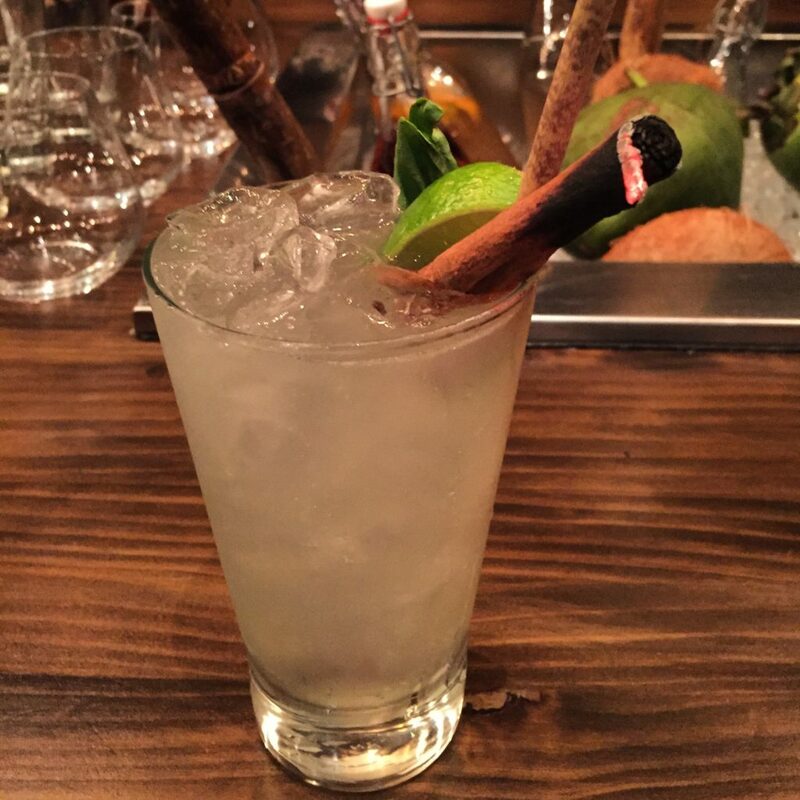 Our very favorite Basil Mojito with a Cinnamon Stick (on fire) It smelled amazing! At Rio Bhongo, the Latin center of the resort, we enjoyed an incredible breakfast (American Desayuno) buffet (unlike anything you have eaten before) with views of the multiple, cascading, infinity pools. Are you kidding me? Pinch me, I must be dreaming it was so extraordinarily good! The food was fresh, farm-to-market style cuisine, where the menu changed daily. On most days it caused us to only need to eat just one daytime meal…we were so full and satisfied! They also serve a divine lunch menu as well – with salads to die for! My breakfast consisting of plain yogurt, nuts and homemade berry jam. The fruit is so sweet and delicious and I dream about the banana cake! 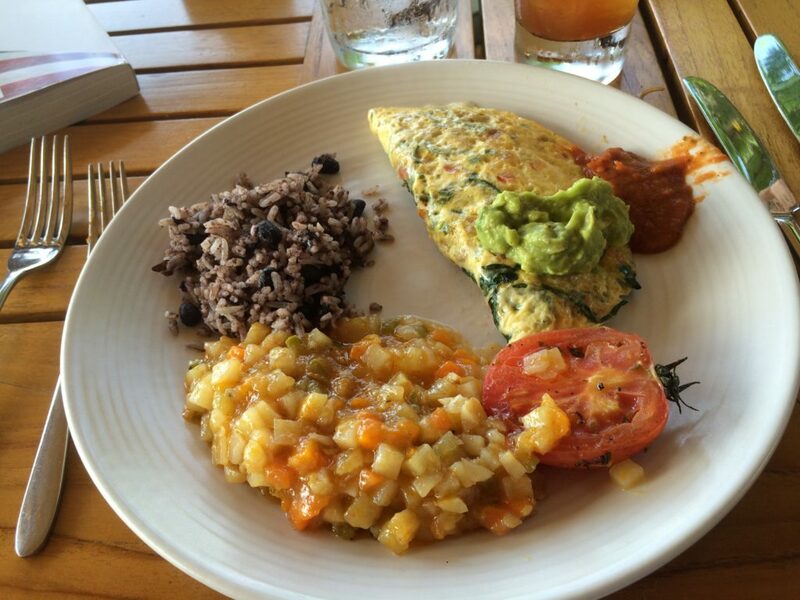 Custom omelet, aromatic potatoes, roasted tomatoes, Costa Rican rice and bean, house made guacamole and hot sauce. Amazing! 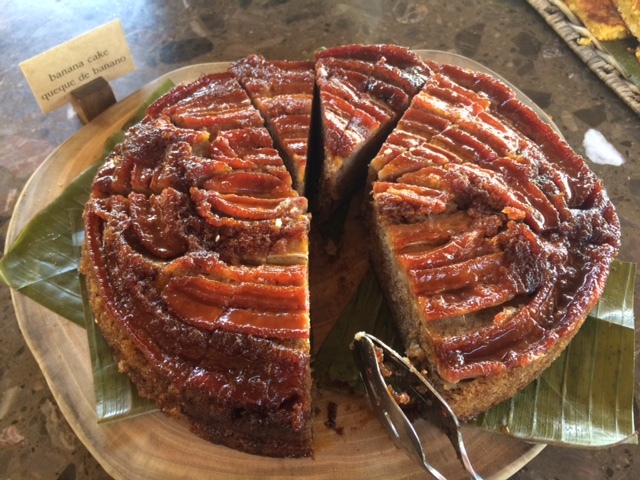 I have already asked for the recipe for this divine Banana Cake! 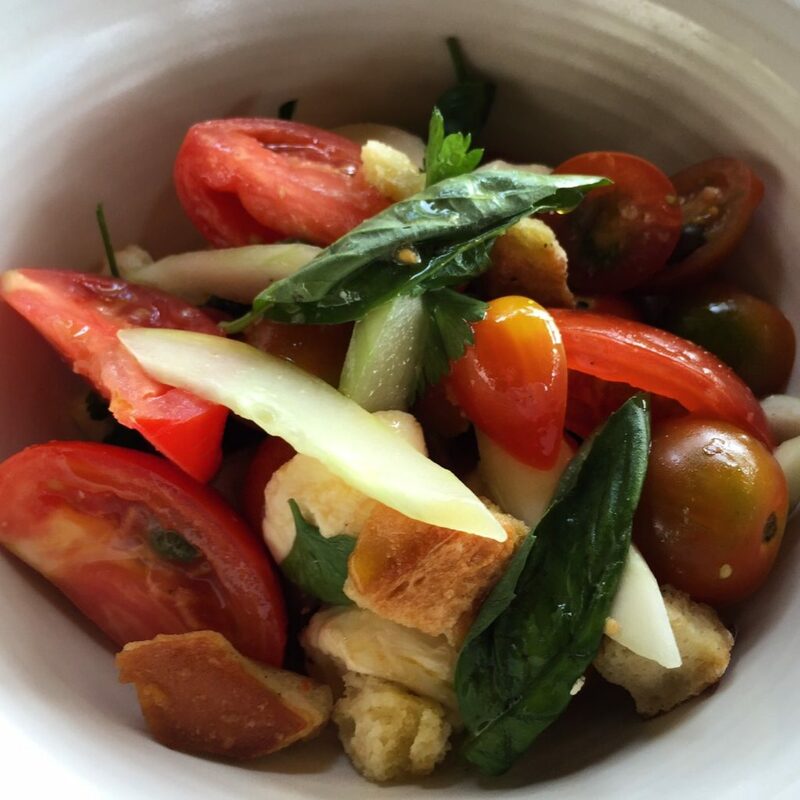 Farm to table tomato salad with cucumber, basil and capers. In addition to the delectable morning brunch, we were treated to exceptional, local Costa Rican coffee drinks created by expert barista, Luis Carlos. Our wish was his delight. Along with Luis, every one of the many staff members was a friend to us. They always greeted us with “Pura Vida” “Buenos Dias” “Hola” “How are you today?” They genuinely, sincerely cared how we were and if we had everything we needed for the day. 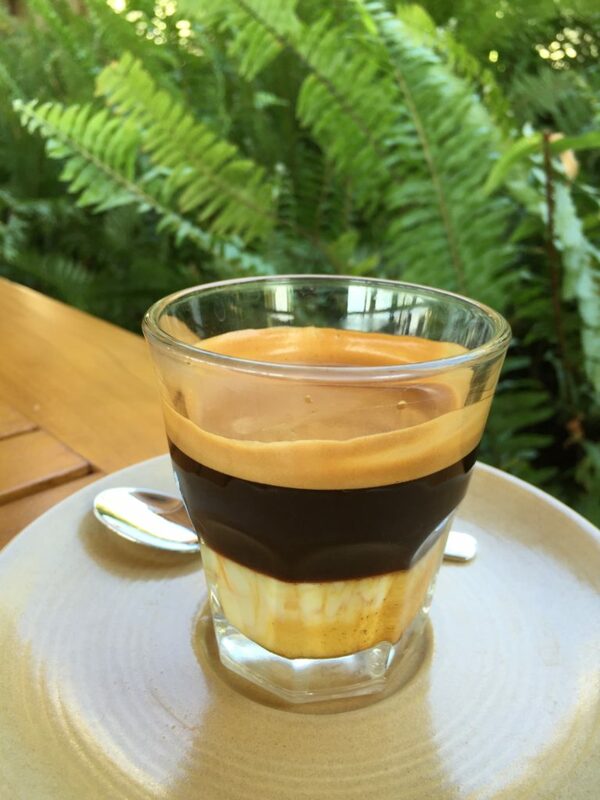 A “Bom Bom” ~ A delicious espresso drink made with sweetened condensed milk. Yummy and so pretty! 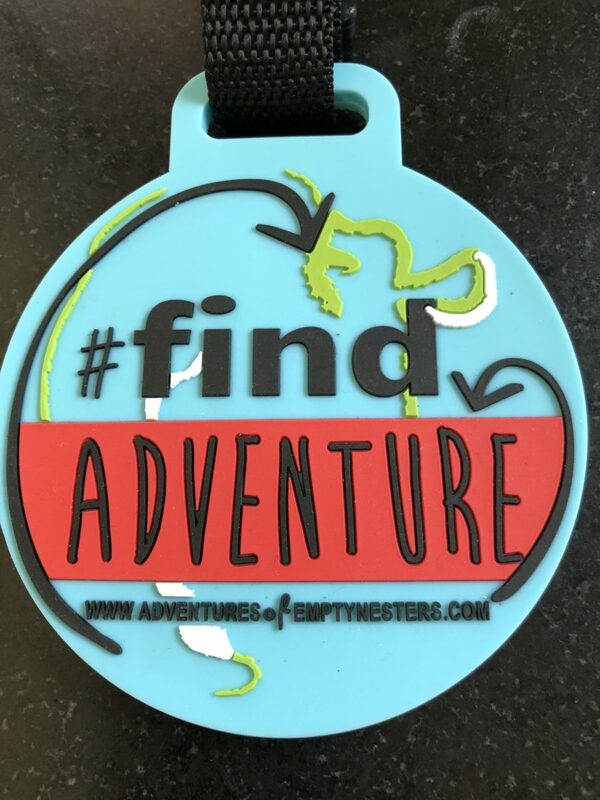 We have many adventures to share! Our nine days in Costa Rica were so exceptional and we have so many stories, photos and details to share! 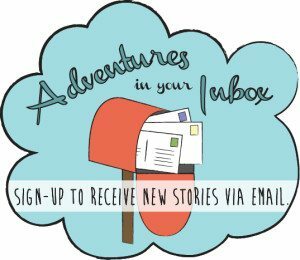 I just cannot do them justice in one article and therefore plan to focus on each of our delightful adventures in several posts over the next few weeks! The landscape in Costa Rica is rich in wildlife and my city slicker husband kept his cool most of the time. 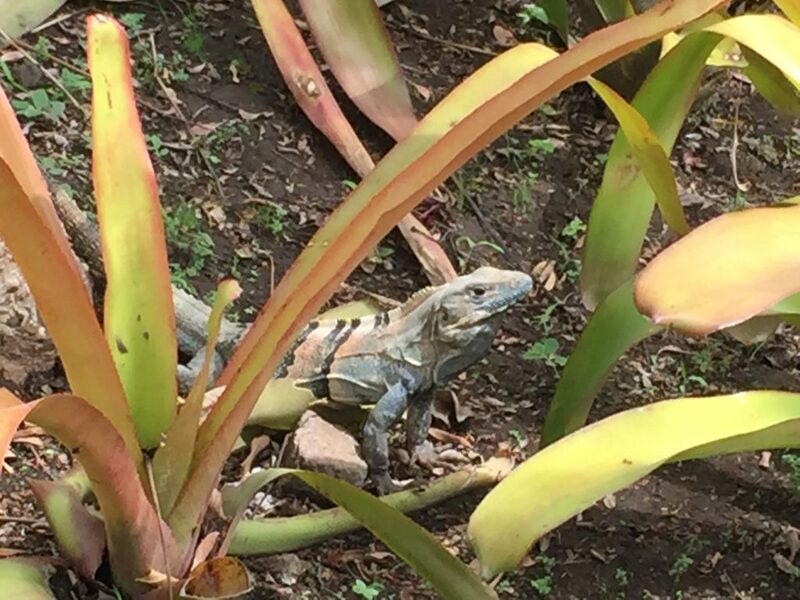 He was however surprised by a casual iguana sauntering by a time or two, but ultimately he handled this aspect of the trip like a trooper! Families of adorable white-faced howler monkeys played in the trees surrounding the swimming pools. We took a private cooking class from Hanier, a chef from the fine dining seafood restaurant Ostra. 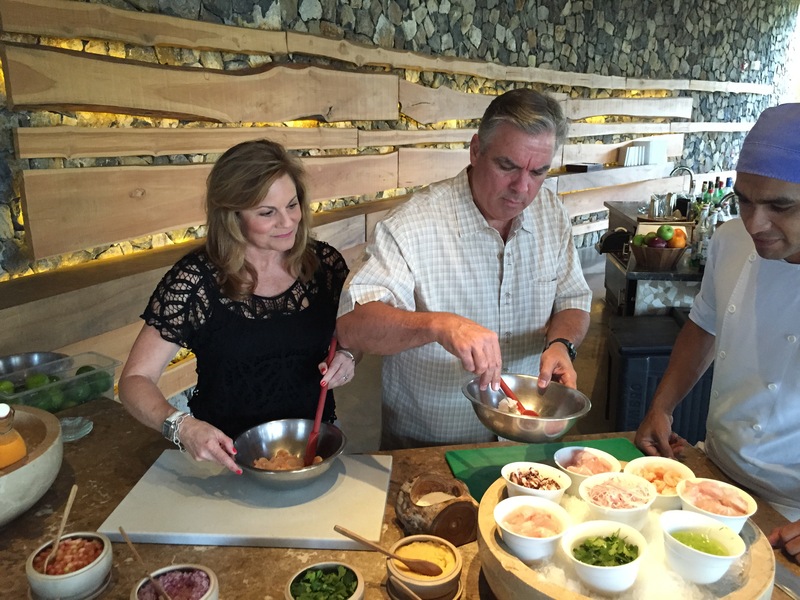 We learned how to combine fresh fish with local ingredients to create the most delectable ceviche ever! Our ceviche lesson with Chef Hanier. The culinary expertise of the resort is complimented by the offering of local, icy-cold beers, an extensive wine menu and handcrafted cocktails. Craig and I enjoyed a one hour (which turned in to two hours- Pura Vida!) Mixology lesson with three other delightful guests. 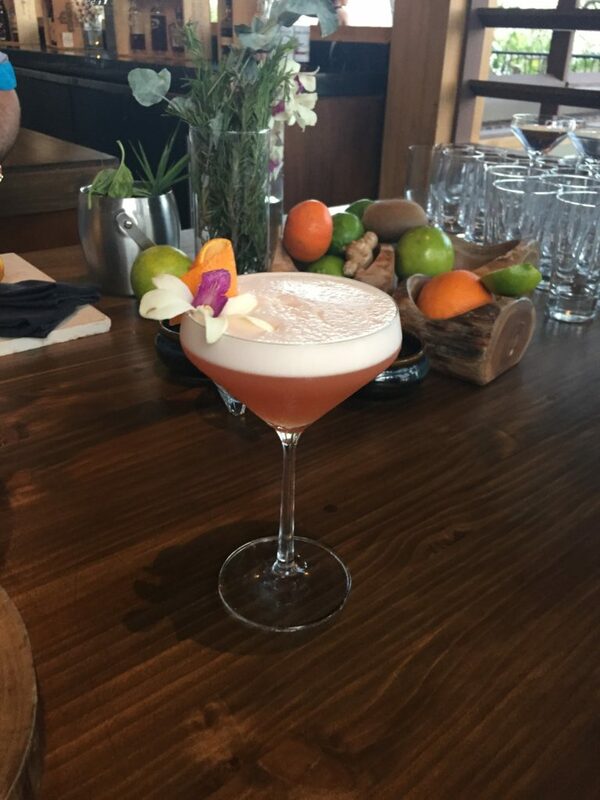 We had a blast learning from Clark, who created the entire drink menu with ingredient combinations we have never seen before. 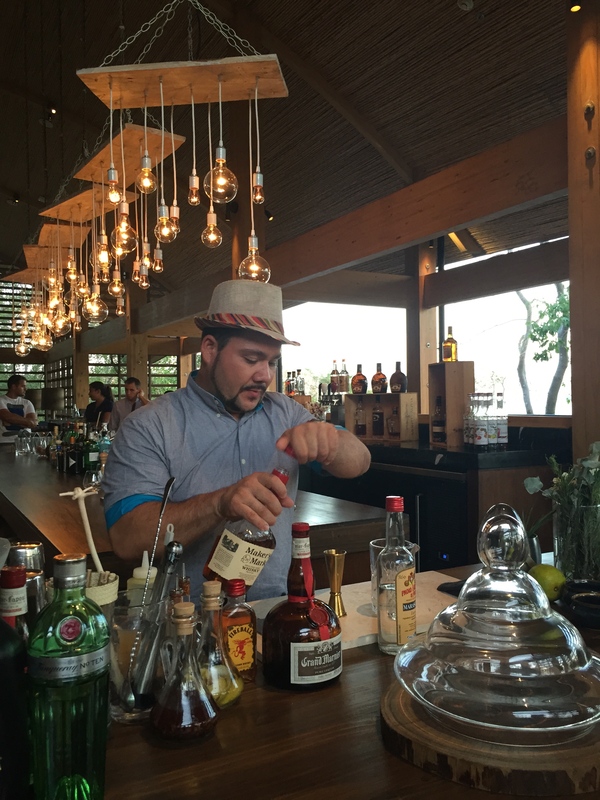 Clark was awarded The Best Mixologist in Costa Rica and he was making plans to compete in South Africa next month against other world class mixologists. We certainly appreciated (and sampled) many of the innovative cocktails and Clark even gave away a few of his trade secrets. Stay tuned for our Mixology Lesson post! Clark the award winning Mixologist! Our incredible Andaz bay view suite was out of this world. 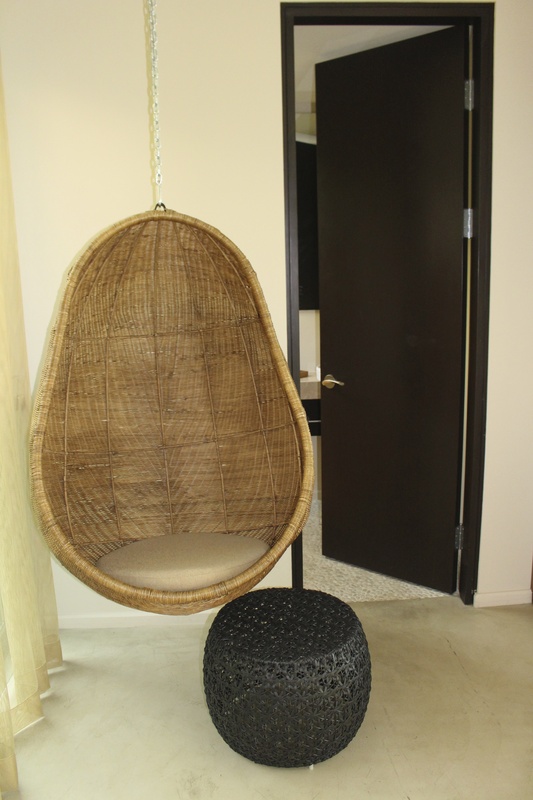 The entry hall welcomed you with a hanging basket chair and a guest bathroom. Everyone needs one don’t you think? 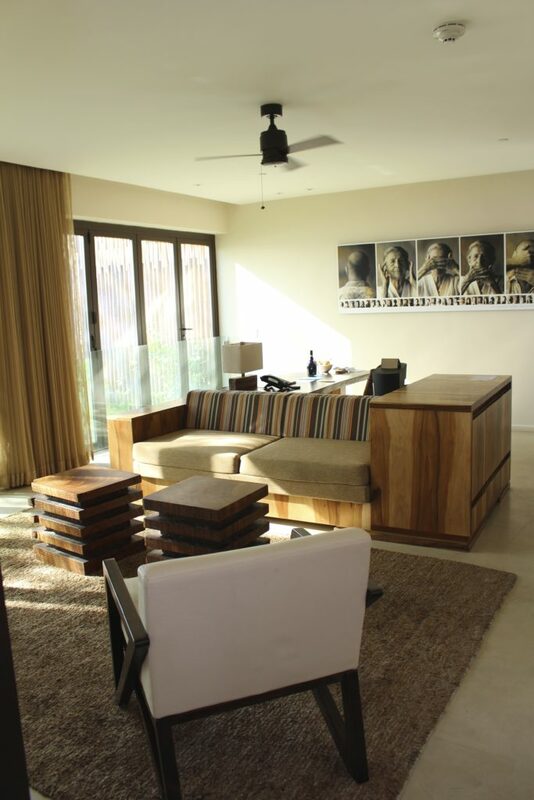 The living room included a sleek, wooden partners desk with a built in refrigerator drawer, a comfortable couch, unique artwork, conversation area and views of the sparkling bay. The walk in closet came complete with an adorable, natural straw purse (for me!) his and hers Andaz flip flops (to keep) as well as a straw hat for each of us! 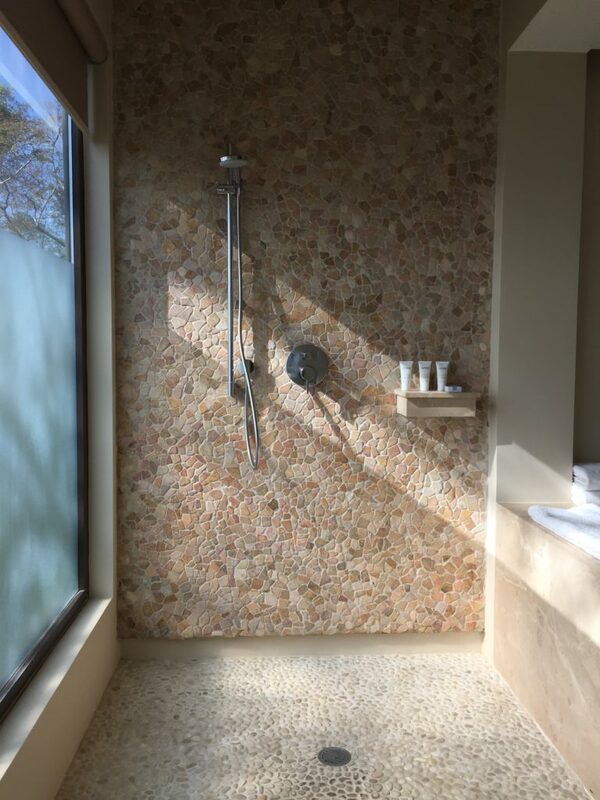 The lovely bedroom and bathroom were adorned with beautiful art made of indigenous wood, a humongous soaking bathtub and beautiful stone rain shower. 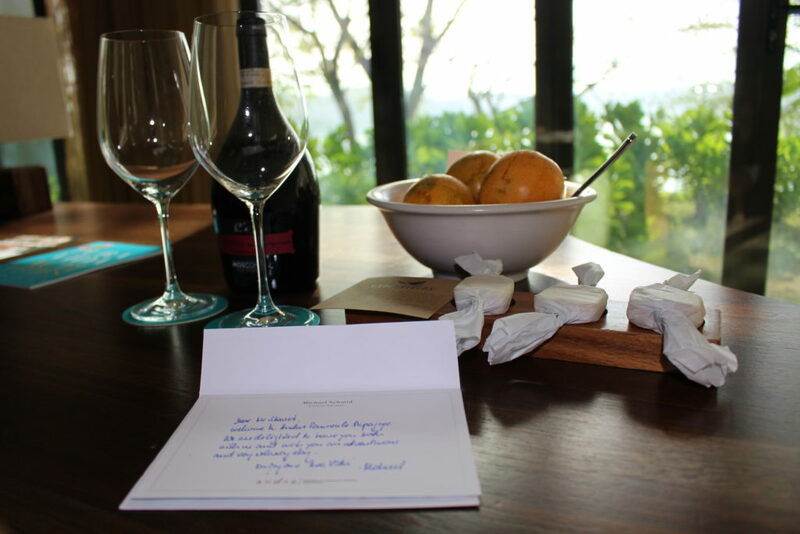 If that wasn’t enough, we were presented delicious welcome snacks of homemade coconut candies, wine and granadilla . 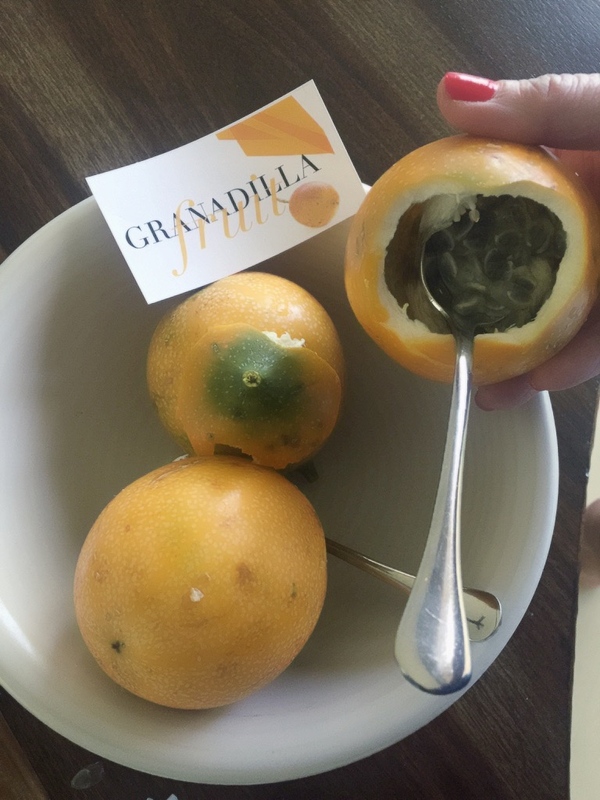 A granadilla is a fruit we were not familiar with and although it was tasty, the seeds were kind of alien-like and a bit gooey, but we were happy to try the local delicacies! 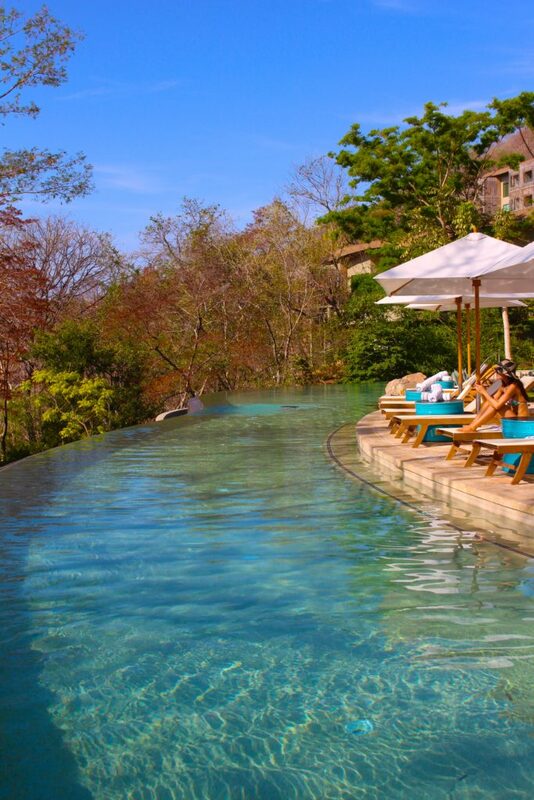 The Andaz Peninsula Papagayo Resort of Costa Rica offers a unique luxury travel experience. The personal attention, friendly service and unparalleled architectural design in a geographic location that is second to none. 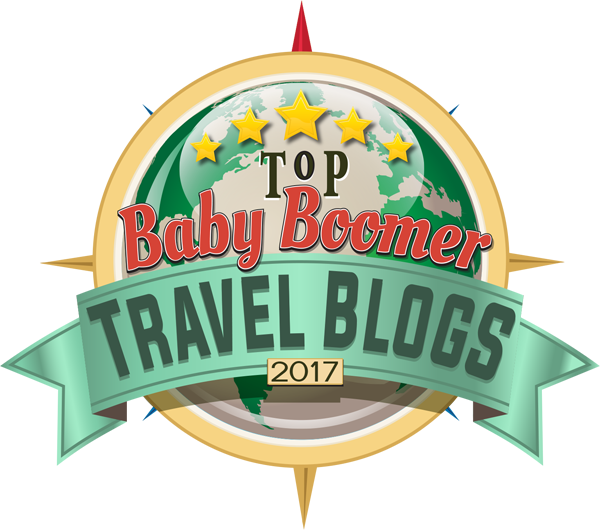 Savvy travelers are looking for a unique resort like this and hope to experience luxury travel that provides something different, yet approachable, not stuffy. With superior attention to detail, offering amenities like a world class spa and cuisine, the Andaz Papgayo of Costa Rica has it all and more. A blue and white stripe sky view from our suite – Glorious! I am still aglow from the experience and look forward to sharing many more details of our enchanting trip to Costa Rica in the coming weeks. I hope you will come back to hear more and see our incredible photos! Please use the Share Buttons to help spread the word about this amazing resort! We appreciate it! ← Pura Vida! We are on our way to a Costa Rica Vacation! How glorious! Andaz looks FABULOUS! Yes Tam it truly was FABULOUS! 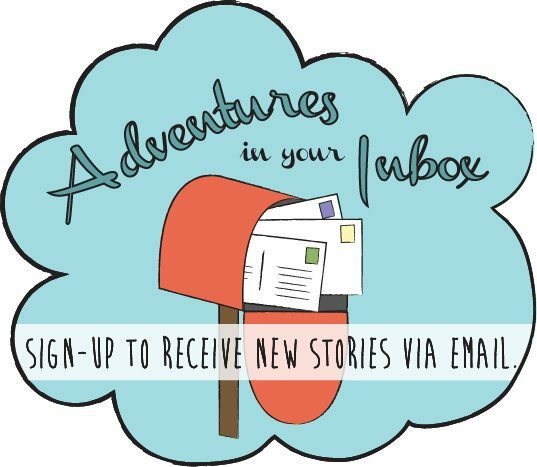 Thank you for reading and for your enthusiasm! Hi Suzanne – I’ve yet to read a review of any Andaz property that hasn’t been superlative, which is a very impressive thing in and of itself. This hotel looks absolutely fabulous. I’d order up a cloud cocktail and park next to the beautiful pool. Just stunning. Betsy-Andaz is our favorite and whenever or wherever we travel we always check to see if there is an Andaz. We even plan trips around these properties. We have stayed in nearly all of them. 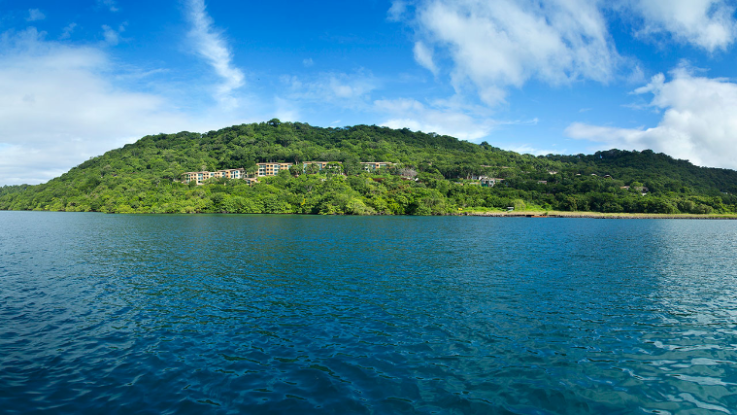 Stunning is the perfect word to describe the Andaz Peninsula Papagayo! I too, am just back from Guanacaste, Costa Rica and share completely your enthusiasm for the people, landscape, cuisine and culture. The Andaz looks like an especially beautiful property and those cocktails look incredible! Pura Vida indeed! Isn’t it just the greatest country? I just cannot say enough about the people especially! Pure Vida is my new mantra! 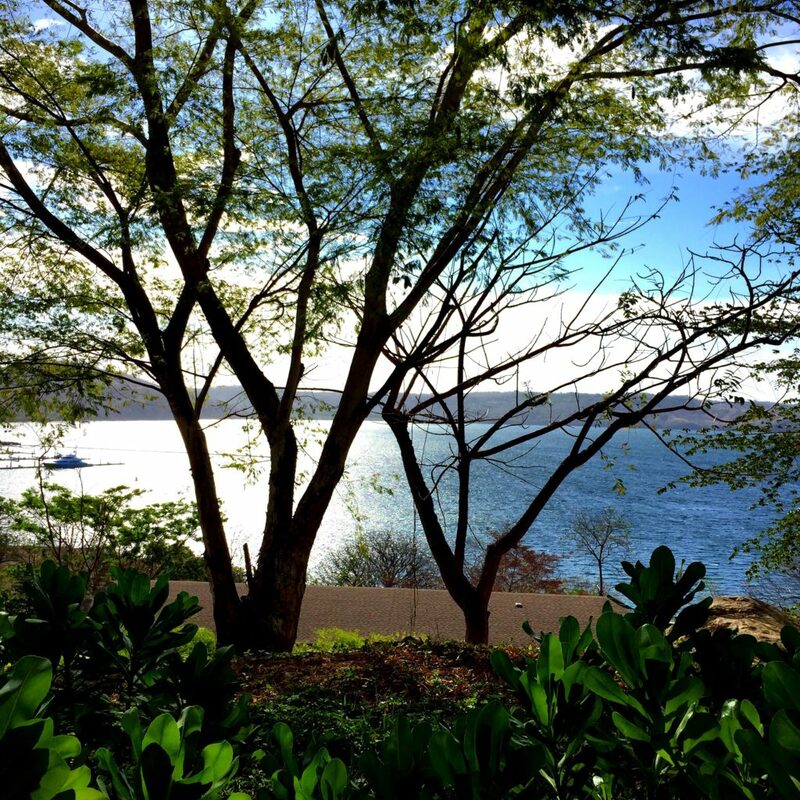 Costa Rica is gorgeous – there’s no doubt about it! We’ve schlepped our way across it from the Caribbean to the Pacific side but your post has me dreaming of an amazing luxury retreat of my own next time in this amazingly beautiful resort. I’m looking forward to more of your posts! Shelley – The food and drink was quite spectacular! The cocktails were so amazing and the ingredients were fresh from the market. The food was divine as well! Stay tuned for more of our adventure in Costa Rica. 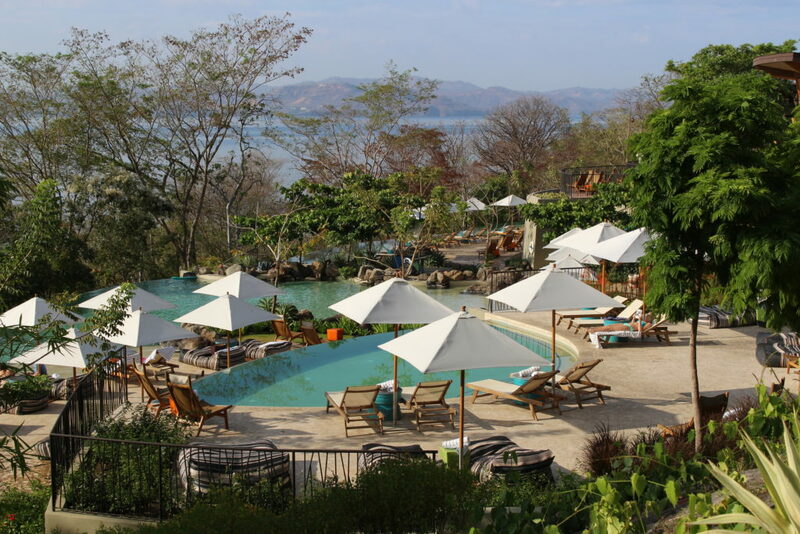 I do hope I one day get to visit The Andaz Peninsula Papagayo resort. I love the adult pool, and the food was making me salivate! I do hope you’ll share that banana cake recipe with us; it looks interesting. Kristin: That is so wonderful to hear! I am certain you had the honeymoon of your dreams! WOW! I had never considered Costa Rica before but the images you shared have made me reconsider this as an option. That banana cake looks delightful! Thanks for sharing your experiences. 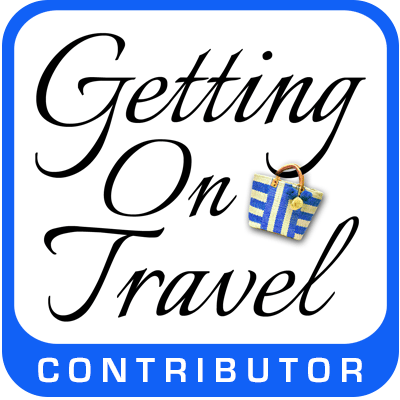 Oh Catrice – Costa Rica is a fabulous vacation destination! Thank you for reading and for your comments. 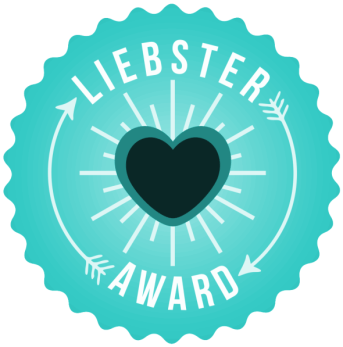 Christa recently posted…An Incredible Weekend with Some Awesome Ladies! 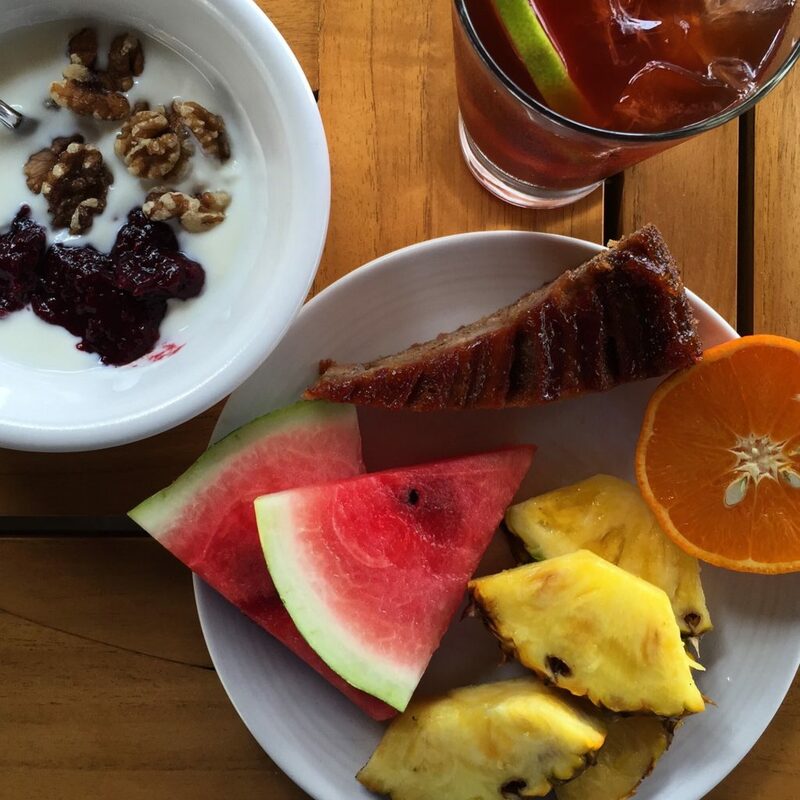 Christa: Although Europe is a wonderful destination, Costa Rica brings something very different to the table. We were amazed at how lovely the people are and how delicious the food is as well! Let me know if you decide to go. Where did you go in Europe? Great post! My husband and I stayed at the Andez this past October and had an amazing time! We can’t wait to return again. I too dream about the banana cake! Did you ever get the recipe for it? If so, please share! I would love to have it.